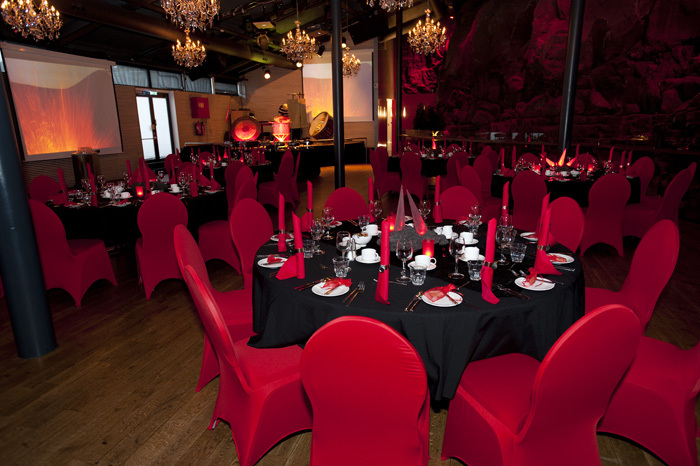 We offer some exciting and exclusive options for Gala Dinners and Theme Dinners that are sure to impress your guests. 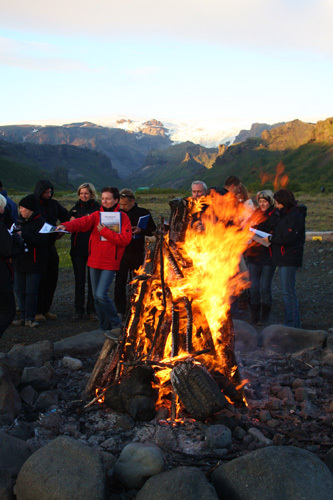 Our Fire and Ice Galas highlights these two extremes of the Icelandic Nature, present in the hundreds of active volcanoes on the island and the glacier ice and winter snow. 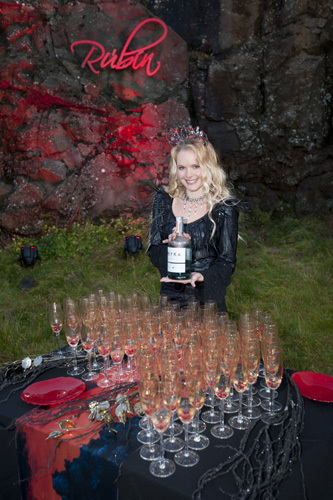 Beautiful Fire Queens serving smoking cocktails, Fire eaters and lava decorations are just a few of the touches we use to set a fiery mood. And for an evening of ice how about creating your very own ice sculpture, tasting ice from a 1000 year old glacier and receiving a surprise present from our Ice Queen? Our Viking Feast is a classic but the Vikings of old sure knew how to party with feasts lasting several days at a time! For our Viking evening we'll find a good setting - a viking longhouse, a medieval restaurant or a tent to enjoy a sumptuous feast of various meats and sidedishes. On arrival everyone receives their very own drinking horn as the Vikings were fond of their mead and you'll need to make a few toasts or "skál" during the evening! The tables will be decorated in the old style and maybe we'll add some Viking helmets for the men and braids for the ladies to get you in the right Viking spirit! 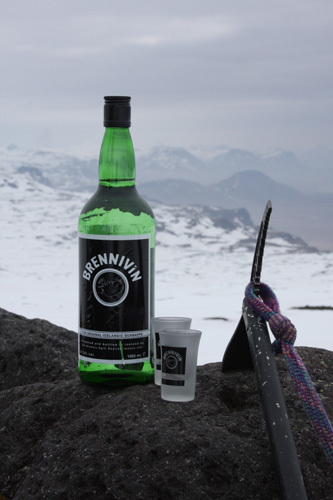 You'll get a surprise visit from some real life Vikings, Iceland's strongest men who'll show you some of their feats and you can add some entertainment such as traditional singing or a fortune telling with the old viking runes to make the night truly unforgettable! Let's not forget our Mythical Evening. 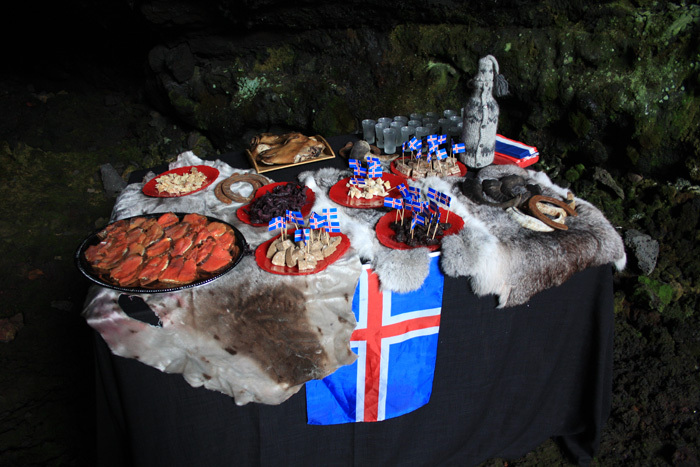 During this magical evening we’ll focus on Iceland’s traditions and Icelandic folklore. We’ll enter the imagination of the people of the 18th Century who lived in dark and small turf farms, spending the long winter evenings working by candlelight and telling stories to pass the time. So it’s no wonder that our folklore is rich and unusual, filled with mysterious beings such as the elves or the hidden in which many Icelanders still believe today.